Born in Rome, she worked her way through Rome's Academy of Dramatic Art by singing at night clubs. During her career, her only child was stricken by polio when he was 18 months old and remained crippled. She was referred to as "La Lupa," the "perennial toast of Rome" and a "living she-wolf symbol" of the cinema. Time magazine described her personality as "fiery", and drama critic Harold Clurman said her acting was "volcanic". In the realm of Italian cinema she was "passionate, fearless, and exciting," an actress that film historian Barry Monush calls "the volcanic earth mother of all Italian cinema." Director Roberto Rossellini called her "the greatest acting genius since Eleonora Duse". Playwright Tennessee Williams became an admirer of her acting and wrote The Rose Tattoo specifically for her to star in, a role for which she received an Oscar in 1955. After meeting director Goffredo Alessandrini she received her first screen role in La cieca di Sorrento (The Blind Woman of Sorrento) (1934) and later achieved international fame in Rossellini's Rome, Open City (1945), considered the first significant movie to launch the Italian neorealism movement in cinema. As an actress she became recognized for her dynamic and forceful portrayals of "earthy lower-class women" in such films as L'Amore (1948), Bellissima (1951), The Rose Tattoo (1955), The Fugitive Kind (1960) and Mamma Roma (1962). As early as 1950 Life magazine had already stated that Magnani was "one of the most impressive actresses since Garbo". Magnani's parentage and birthplace are uncertain. Some sources suggest she was born in Rome, others in Egypt. Her mother was Marina Magnani. The film director, Franco Zeffirelli, who claimed to know Magnani well, states in his autobiography that she was born in Alexandria, Egypt, to an Italian-Jewish mother and Egyptian father, and that "only later did she become Roman when her grandmother brought her over and raised her in one of the Roman slum districts." Magnani herself stated that her mother was married in Egypt but returned to Rome before giving birth to her at Porta Pia, and did not know how the rumour of her Egyptian birth got started. She was enrolled in a French convent school in Rome where she learned to speak French and play the piano. She also developed a passion for acting from watching the nuns stage their Christmas plays. This period of formal education lasted until the age of fourteen. She was a "plain, frail child with a forlornness of spirit". Her grandparents compensated by pampering her with food and clothes. Yet while growing up, she is said to have felt more at ease around "more earthly" companions, often befriending the "toughest kid on the block". This trait carried over into her adult life when she proclaimed, "I hate respectability. Give me the life of the streets, of common people." At age 17, she went on to study at the Eleonora Duse Royal Academy of Dramatic Art in Rome for two years. To support herself, Magnani sang in nightclubs and cabarets; leading to her being dubbed "the Italian Édith Piaf". However, an actor friend Micky Knox, writes that she "never studied acting formally" and started her career in Italian music halls singing traditional Roman Folk songs. "She was instinctive" he writes. "She had the ability to call up emotions at will, to move an audience, to convince them that life on the stage was as real and natural as life in their own kitchen." She was considered an "outstanding theatre actress" in Anna Christie and The Petrified Forest and had a successful career in variety shows. In 1933 she was acting in experimental plays in Rome when she was discovered by Italian filmmaker Goffredo Alessandrini. He had been one of the first Italian filmmakers to make use of sound. The two married the same year, and he subsequently directed her in her first major film role in The Blind Woman of Sorrento (La Cieca di Sorrento) in 1934. In 1941, Magnani starred in Teresa Venerdì (Friday Theresa) with the writer and director Vittorio De Sica. He called this Magnani's "first true film". In it she plays Loletta Prima, the girlfriend of De Sica’s character, Pietro Vignali. De Sica described Magnani's laugh as "loud, overwhelming, and tragic". Her film career had spread over almost 20 years before she gained international renown as Pina in Roberto Rossellini's neorealist milestone Roma, città aperta (Rome, Open City, 1945). Her harrowing death scene remains one of cinema's most devastating moments. The film was about Italy's final days under German occupation during World War II where Magnani gave a "brilliant performance" as a woman who dies fighting to protect her husband, an underground fighter against the Nazis. Other collaborations with Rossellini include L'Amore, a two part film from 1948 which includes "The Miracle" and "The Human Voice" ("Il miracolo", and "Una voce umana"). In the former, Magnani, playing a peasant outcast who believes the baby she's carrying is Christ, plumbs both the sorrow and the righteousness of being alone in the world. The latter film, based on Jean Cocteau's play about a woman desperately trying to salvage a relationship over the telephone, is remarkable for the ways in which Magnani's powerful moments of silence segue into cries of despair. After "The Miracle", Rossellini promised to direct Magnani in a film he was preparing which he told her would be "the crowning vehicle of her career". However, when the screenplay was completed, he instead gave the role for Stromboli to the Swedish actress, Ingrid Bergman. The two subsequently began a love affair; and this resulted in Magnani's permanent breakup with Rossellini. As a result, Magnani took on the starring role of Volcano, which was said to have been deliberately produced to invite comparison::125 both films were shot in similar locales of Aeolian Islands only 40 kilometres apart; both actresses played independent-minded roles in a neorealist fashion; and both films were shot simultaneously. Life magazine wrote, "... in an atmosphere crackling with rivalry... Reporters were accredited, like war correspondents, to one or the other of the embattled camps.... Partisanship infected the Via Veneto (boulevard in Rome), where Magnaniacs and Bergmaniacs clashed frequently." However, Magnani still considered Rossellini the "greatest director she ever acted for". In Luchino Visconti's Bellissima (1951) she plays Maddalena, a blustery, obstinate stage mother who drags her daughter to Cinecittà for the 'Prettiest Girl in Rome' contest, with dreams that her plain daughter will be a star. Her emotions in the film went from those of rage and humiliation to maternal love. The film was made during the "grim period" of Italy's post-World War II recovery. Magnani then went on to star as Camille (stage name: Columbine) in Jean Renoir's film Le Carrosse d'or (in English: The Golden Coach) in 1953. Here she played a woman torn between three men - a soldier, a bullfighter, and a viceroy. Renoir called her "the greatest actress I have ever worked with". She played the widowed mother of a teenage daughter in Daniel Mann's 1955 film, The Rose Tattoo, based on the play by Tennessee Williams. It co-starred Burt Lancaster, and was Magnani's first English speaking role in a mainstream Hollywood movie, winning her the Academy Award for Best Actress. Lancaster, who played the role of a "lusty truck driver", said that "if she had not found acting as an outlet for her enormous vitality, she would have become 'a great criminal'". "Anna Magnani was magnificent as Serafina in the movie version of Tattoo.... She was as unconventional a woman as I have known in or out of my professional world, and if you understand me at all, you must know that in this statement I am making my personal estimate of her honesty, which I feel was complete. She never exhibited any lack of self-assurance, any timidity in her relations with that society outside of whose conventions she quite publicly existed.... [s]he looked absolutely straight into the eyes of whomever she confronted and during that golden time in which we were dear friends, I never heard a false word from her mouth." It was originally staged on Broadway with Maureen Stapleton as Magnani's English was too limited at the time for her to star. 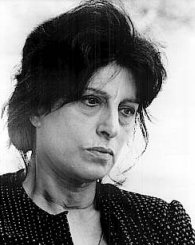 Magnani won other Best Actress awards for her role, including the BAFTA Film Award, Golden Globes Award, National Board of Review, USA, and the New York Film Critics Circle Awards. When her name was announced as the Oscar winner, an American journalist called her in Rome to tell her the news; his challenge was convincing her he wasn't joking. "Anna and I had both cherished the dream that her appearance in the part I created for her in The Fugitive Kind would be her greatest triumph to date... She is simply a rare being who seems to have about her a little lightning-shot cloud all her own.... In a crowded room she can sit perfectly motionless and silent and still you feel the atmospheric tension of her presence, its quiver and hum in the air like a live wire exposed, and a mood of Anna's is like the presence of royalty." The Wild, Wild Women (Nella Citta' L'Inferno, 1958) paired Magnani, as an unrepentant streetwalker, with Giulietta Masina in a women-in-prison film. In Pier Paolo Pasolini's Mamma Roma (1962), Magnani is both the mother and the whore, playing an irrepressible prostitute determined to give her teenage son a respectable middle-class life. Mamma Roma, while one of Magnani's critically acclaimed films, was not released in the United States until 1995, deemed too controversial thirty years earlier. By now she was frustrated at being typecast in the roles of poor women. Magnani in 1963 commented "I’m bored stiff with these everlasting parts as a hysterical, loud, working-class woman". She later played herself (within a dramatic context) in Federico Fellini's Roma (1972). Towards the end of her career, Magnani was quoted as having said, "The day has gone when I deluded myself that making movies was art. Movies today are made up of…intellectuals who always make out that they’re teaching something". According to film critic Robin Wood Magnani's "persona as a great actress is built, not on transformation, but on emotional authenticity... [she] doesn't portray characters but expresses 'genuine' emotions." Her style is notable by not displaying the more obvious attributes of the female star, with neither her face or physical makeup being considered "beautiful". However, she possesses a "remarkably expressive face," and for American audiences, at least, she represents "what Hollywood had consistently failed to produce: 'reality'". She was the atypical star, the "nonglamorous human being", as her genuine style of acting became a "rejection of glamour". Her most distinguished work in Hollywood is in Wild is the Wind, according to Wood. Directed by George Cukor, "the American cinema's greatest director of actresses," he was able to draw out the "individual essence" of Magnani's "sensitive and inward performance." Her other well-known Hollywood films were The Rose Tattoo, which she won the best actress Oscar for in 1955, and The Fugitive Kind. During Benito Mussolini's rule, Magnani was known to make rude jokes about the Italian Fascist Party. She married her first film director, Goffredo Alessandrini, in 1935, two years after he discovered her on stage. After they married, she retired from full-time acting to "devote herself exclusively to her husband", although she continued to play smaller film parts. They separated in 1942. Magnani had a love affair with the actor Massimo Serato, by whom she had her only child, a son named Luca, who was born on October 29, 1942 in Rome, after her separation from Alessandrini. Magnani's life was struck by tragedy when Luca came down with crippling polio at only 18 months of age. He never regained use of his legs. As a result, she spent most of her early earnings for specialists and hospitals. After once seeing a legless war veteran drag himself along the sidewalk, she said, "I realize now that it's worse when they grow up", and resolved to earn enough to "shield him forever from want". In 1945 she fell in love with director Roberto Rossellini while working on Roma, Città Aperta aka Rome, Open City (1945). "I thought at last I had found the ideal man... [He] had lost a son of his own and I felt we understood each other. Above all, we had the same artistic conceptions." Rossellini had become violent, volatile and possessive, and they argued constantly about films or out of jealousy. "In fits of rage they threw crockery at each other." As artists, however, they complemented each other well while working on neorealist films. The two finally split apart when Rossellini fell in love with, and married, Ingrid Bergman. Magnani was mystically inclined and consulted astrologers, as well as believing in numerology. She also claimed to be clairvoyant. She ate and drank very little and could subsist for long periods on nothing more than black coffee and cigarettes. However, these habits often affected her sleep: "My nights are appalling," she said. "I wake up in a state of nerves and it takes me hours to get back in touch with reality." Perhaps her strangest quirk was her love of defleaing street kittens with her thumbnails. ^ "Berlinale 1958: Prize Winners". berlinale.de. Retrieved 2010-01-05.